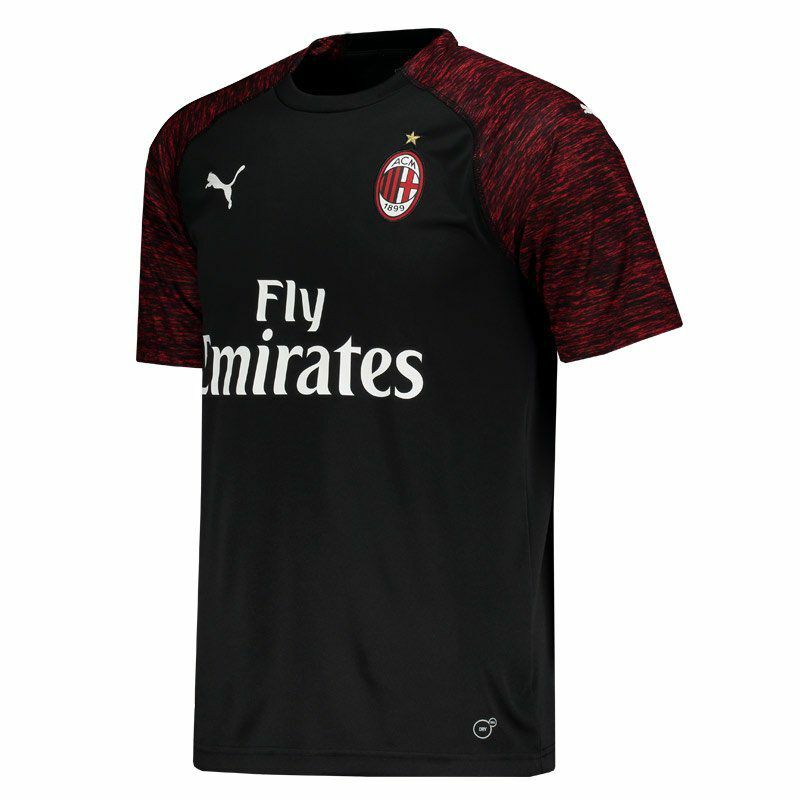 Developed by Puma, Milan Third Jersey for 2019 is the right request for fans to wear their love for the team. The piece is made of lightweight polyester, features Dry Cell technology and offers name and number customization. More info. 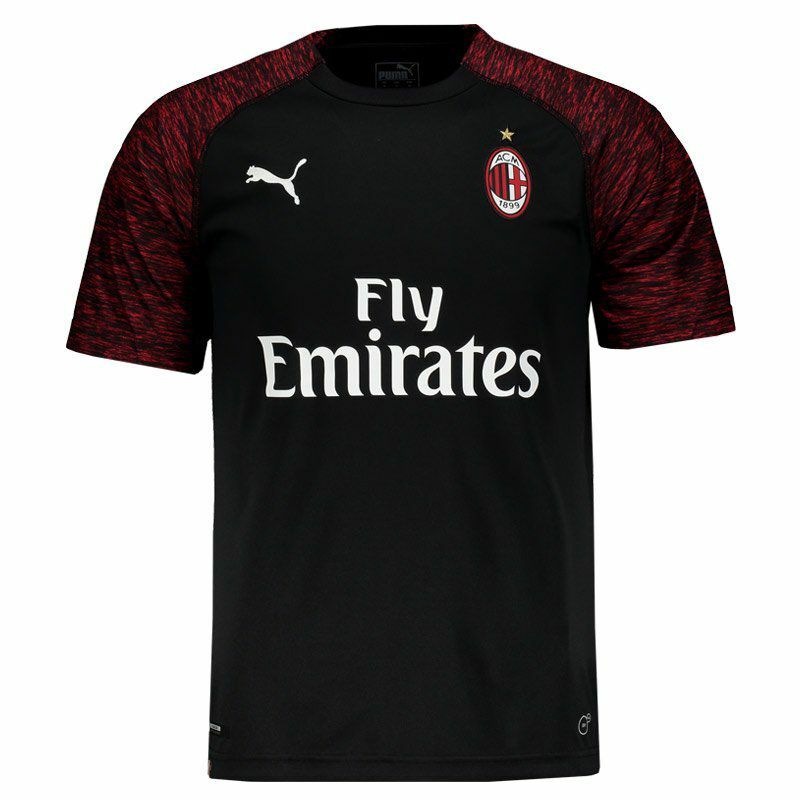 Developed by Puma, Milan Third Jersey for 2019 is the right request for fans to wear their love for the team. The piece is made of lightweight polyester and features Dry Cell technology, which contains functional materials that keeps the sweat away from the skin and keeps you dry and comfortable. 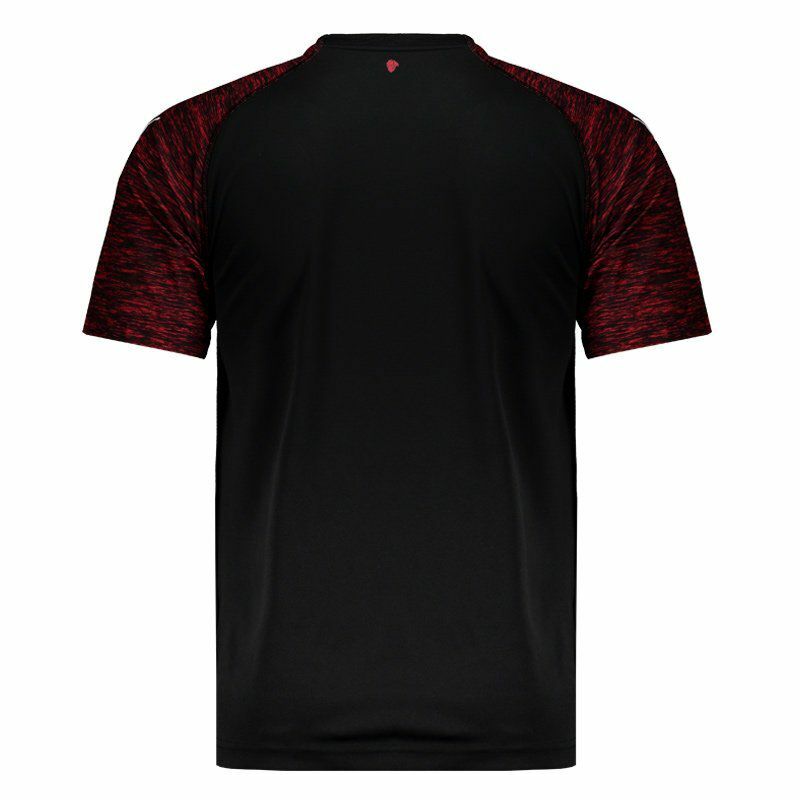 The mantle has a predominantly black design and features a blend of red highlights seen on the sleeves, which in turn, has a raglan cut. In the frontal region, can be seen the patronage, in addition to the team badge and logo of the supplier brand embroidered on the chest. Already in the front bar, the colors of the flag of Italy are seen. 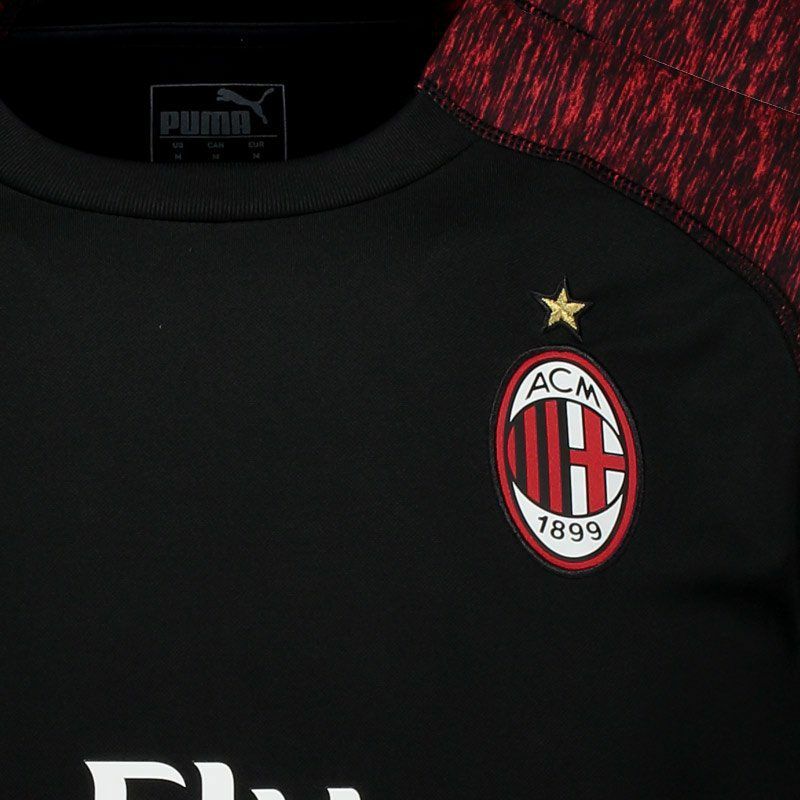 Finally, in the back, it brings one of the traditional symbols of the club, the "Diavolo Rosso" (Red Devil).